The Marshall Park neighborhood is named for the 390-acre park (with the same name) that runs along the eastern boundary of the neighborhood. Composed largely of residential and preserved natural areas, Marshall Park is a wonderful neighborhood for those seeking quiet and who enjoy the outdoors. Residents appreciate the proximity to Multnomah Village, OSHU, downtown Portland, Lake Oswego, and access to I-5. Many homes in the area back up to dense forest. The architecture includes mid-century, ranch-style, split levels, modern, and new construction. The closest schools for Marshall Park residents are Capitol Hill Elementary, Jackson Middle School, and Wilson High School. There are multiple grocery stores in the area and also a farmers’ market in nearby Hillsdale. While there is not a commercial center in Marshall Park, there are numerous options for shopping and leisure in nearby Hillsdale, Multnomah Village, and Lake Oswego. Public transportation to OHSU and downtown Portland is relatively easy on Trimet’s #12 route. The namesake park, Marshall Park, is named after Frederick and Addie Mae Marshall who restored the landscape, which used to be a quarry, and donated it to the city in 1948. Tyron Creek runs the length of the park. The park is basically a canyon filled with hiking trails, a waterfall, and a play area. Two other impressive natural areas are within minutes of the Marshall Park neighborhood. Bordering the southwest corner of the neighborhood is Maricara Natural Area, approximately 18 acres of varied terrain including wetlands and second-growth forest, with over 4,000 feet of hiking trails. 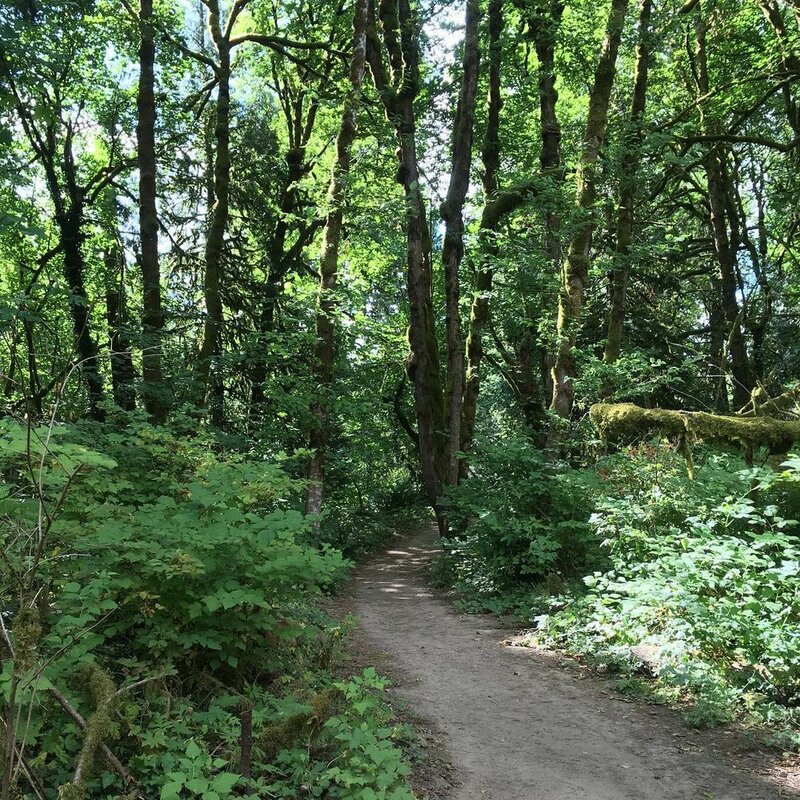 If you need even more terrain to explore, head to Tryon Creek State Natural Area and wander its expansive 650 acres. Tryon Creek was named for Dr. Socrates Hotchkiss Tryon, an Oregon settler of 1850, who settled a claim near Oswego on which the park land is located. Tryon Creek State Natural Area offers a wealth of programming including bird watching walks, events for children, and guided nature walks. For residents (and non-residents) who connect with the natural area, there are numerous opportunities to participate in events at the park through Friends of Tryon Creek an organization offering day camps, volunteer opportunities, and a robust backyard habitat program.